Exhibited in You Can’t Get There From Here at Harbourfront Centre, Toronto, winter 2009 with Anna Lindsay MacDonald, Gwen MacGregor, and Benny Nemerofsky Ramsay. Conventional maps contain universal symbols and keys, icons that people will recognize as streets, parks, monuments, etc. These markings help get us from one point to the other. 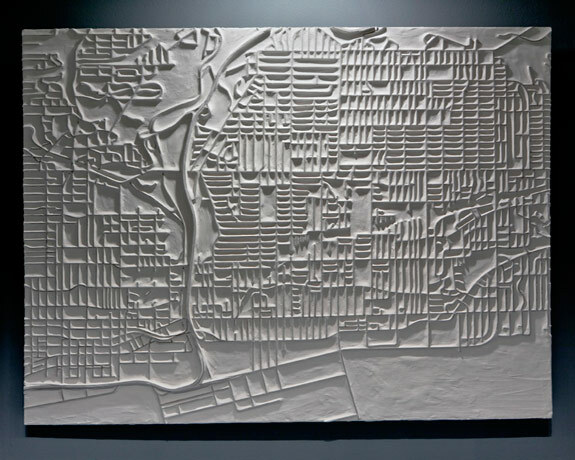 You can’t get there from here presents 4 artists who have adapted map iconography to present visual memories and experiences, fabricated from non-traditional map making materials. 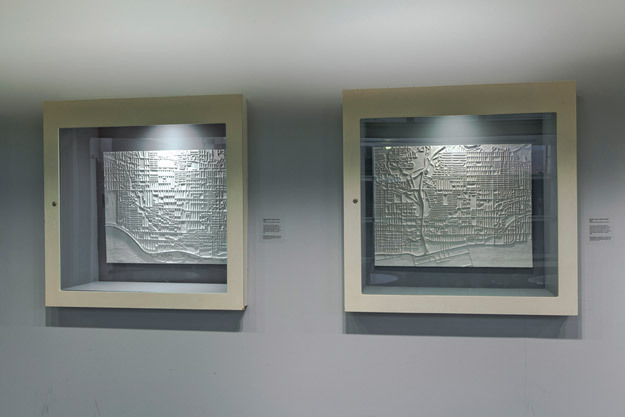 These personal maps contain recollections and perceptions of a place and how the individual connects to their environment. 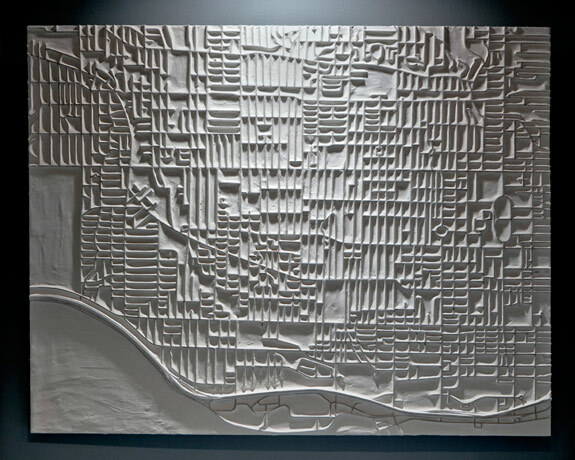 The two halves of this work are divided along Yonge Street, the central North-South Street that bisects Toronto. The East and West sides of the City are established along this line.